Her body, hidden before, is now visible, visible in its mortality. Her body is dressed like a girl’s, in the worn out clothes of youth; on her fingers, the diamonds and gold of her people in Devon. But under the dresses and the skin, death is naked; under the eyes, too, with their pure, shy look. Every so often that look sis masked by laughter, which she’s immediately scared at having perpetrated. She looks at the Captain to check. And a lost look passes over her face and makes you wonder. 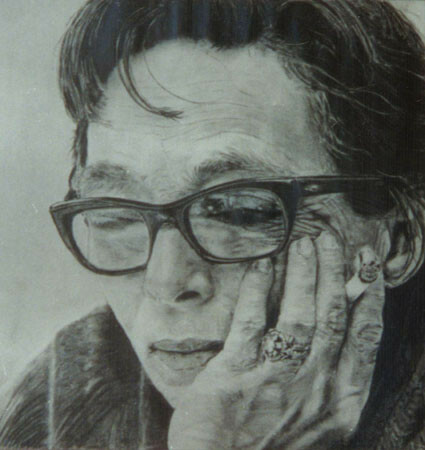 I can’t believe I ever have the audacity to write anything about Marguerite Duras, and in reality I don’t. Until I do these pathetic little blog posts pointing to her (hopefully) and away from me (hopefully) will have to suffice. Anyway, know what whatever I say here, I say in hushed tones. 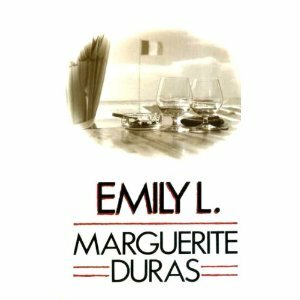 Every time I read a book by Duras I swear it’s my new favourite. I can’t imagine how anything so beautiful and so untouchable could be sitting in my hands. Her words are a song – no something lighter and more intangible than that. They are a shadow of life, the reflection in the mirror rather than the subject itself. And yet, all we are is that reflection – yes? Once he spoke to her about it, about how the poems made him suffer because he couldn’t understand them . She must have misunderstood his confession. She said if they made him suffer it probably meant he’d begun to understand them. Suffering is always beauty in A Duras novella. 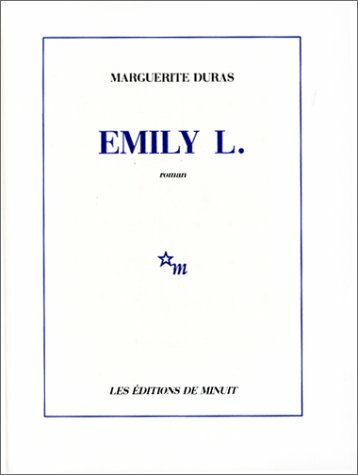 In Emily L is the suffering brought about by the longing to write, the longing to be loved and the longing for life itself. Officially it is the story of a young couple of who notice an older couple and in observing them and hearing their story they examine their own life together and reflect on what brings and keeps them together. 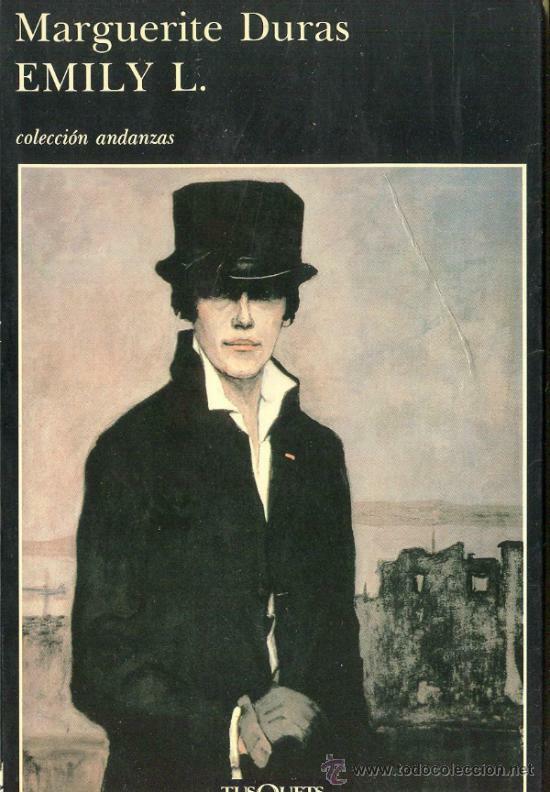 But like all Duras novels it is also so much more than this. A woman who writes as if it were an illness she needed to purge from her body, whose writing is so violently close to herself, it shocks and terrifies those closest to her who read it. Eventually the poems are found by someone who does not know the woman and while this anonymity gives him the courage to publish her work, it also causes him to fall in love with her, and spend his entire life dreaming of one kiss he may or may not have given her. She hesitated a moment, then told him she’d lost confidence in herself. She said she made mistakes sometimes while she was writing, got carried away into dangerous regions into which she ought never to have gone. So she was relying on him to decide whether this had happened in the letter. The lawyer was extremely moved; his eyes filled with tears. But neither he nor Emily L. said anything about it. Duras is always about the unsayable and the words. She dances in that light space between what we say and what we mean, trying to eke out a solution to the inadequacies of our communications. None of her characters ever properly understand each other; none of them work within the realm of language as dialogue. They all speak through sleight of hand, tilt of head, and meanings unattached to phrases. Duras dwells in that place where words and meaning can’t find each other, and every novella of hers leaves us with the unease of existence coupled with the awareness of our aloneness. We talked about people in general. We said all the people one saw in bars and boats and trains were unforgettable, even if one forgot them afterwards. Not people in newspaper photographs or films, but those alone on buses or in bars in the evening – all,. Whether they were workers or not, exhausted by the day that had just gone by, all plunged in the sombre exaltation of the life within. 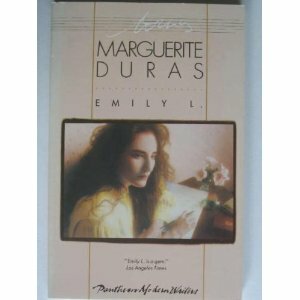 Emily L. Ends for Duras unresolved as almost all her beautiful novellas do. Her question is ultimately about what and why we write, where we get the courage to take such a daring action so lightly and how we can live with ourselves after. And I said one ought to write without making corrections, not necessarily at full tilt, no, but at ones, own pace and in accordance with what one is experiencing at the time; one ought to eject what one writes, manhandle it almost, yes, treat it roughly, not try to trim profusion but let it be part of the whole, and not tone anything down either, whether its speed or its slowness, just leave everything as it is when it appears.